Estonia (official name is the Republic of Estonia) is located in the Baltic region of Northern Europe. 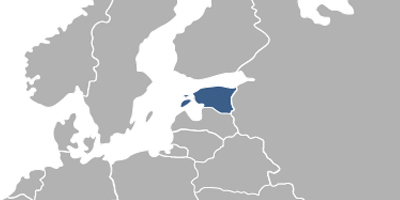 Estonia shares borders with the Gulf of Finland to the North, Latvia to the South, Russia and Lake Peipus to the East, and the Baltic Sea to the West. With the territory of 45,227 km2, Estonia is one of the least populous countries of the European Union. Fees associated with registration of IP rights in Estonia are available in the fee calculator.